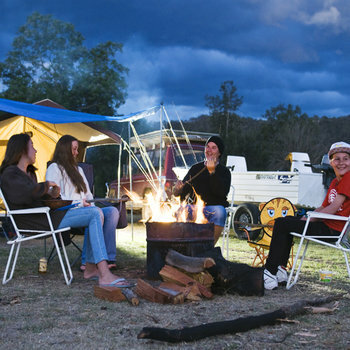 Compare the best motorhome and campervan hire deals in Sydney from Australia's top providers such as Apollo, Jucy Rentals, Britz, Maui, Real Value and Stardrive. By comparing prices of camper and RV rentals at VroomVroomVroom, you can easily find a vehicle that will best suit your budget and needs. Our booking system is easy to use and you can filter and sort out the list to find the result you desire. If you prefer a smaller vehicle like an SUV or station wagon, you can also book a car rental in Sydney through us. Sydney is an unforgettable destination and home to world-famous sites such as the Sydney Harbour Bridge, Sydney Opera House, Darling Harbour and Circular Quay. The state capital of New South Wales offers visitors a wide range of beaches, bays, national parks and shopping destinations. For some of the most enjoyable road trips from Sydney, make sure to click here. The city experiences a moderate climate throughout the year, with mild winters and warm summers. It is a great place to consider a motorhome hire. Drive through Sydney in a campervan hire and visit some of the beautiful surrounding regions. Del Rio Riverside Resort is situated along Chaseling Road, Webbs Creek at Wisemans Ferry. This is perfect for families and large groups who are in search of a quick getaway in Sydney. The resort is also ideal for conferences because of its mountainous backdrop. Choose from a wide range of accommodation options including Waterview Villas, Riverside Villas, Waterfront Cabins, and Lodges. They also offer appointed houses as well as powered and unpowered camping sites. Guests can take advantage of Del Rio's first-class facilities such as a swimming pool, 9-hole/put putt golf courses, netball/basketball court, tennis courts, volleyball court, and BBQ area. Bents Basin Campground lies 53.8 kilometers west of Sydney and can be accessed via Wolstenholme Avenue off Greendale Road in Greendale. The area sits on a deep section of the Nepean River gorge in proximity with Camden and Penrith. The site is highly popular for people who love camping and travelling in campervans. Its campsite facilities include a campground shelter and kitchen, picnic areas and a hall with commercial kitchen, toilets, rubbish bins, water and electric barbecues. BIG4 Sydney Lakeside Holiday Park is located at 38 Lake Park Road in North Narrabeen. It is an award winning holiday park that offers a wide range of accommodation that includes sites for campervans. The park is near Narrabeen Lake, offering a safe and secured patrolled beach. Its popular campsite activities include canoeing, fishing, surfing, snorkeling and swimming. The site has barbecue facilities, a boat ramp, camp kitchen, car park, communal kitchen, communal refrigerator, conference facilities, cots, recreation room, high chair, ice, iron, laundry, playground, public telephone, TV/Lounge area and tour desk. Lane Cove River Tourist Park sits along Plassey Road in North Ryde. The park is children friendly and offers a wide variety of accommodation in an area of impressive natural beauty. There are sites for campervans and tents at the park. Its campsite facilities include barbecue facilities, bicycle hire, camp kitchen, car park, child pool, communal lounge, communal refrigerator, recreation room, gas, ice, Broadband Internet access, WiFi, iron, kiosk, laundry, playground, nightcall button, tour desk, TV/Lounge area, public telephone, swimming pool and walking tracks. Popular activities within the Lane Cove River Tourist Park are bird watching, canoeing, cycling, swimming, bushwalking, hiking and guided walks. Blue Mountains National Park sits 81 kilometers west of Sydney within the Blue Mountains region, an area that covers 268,987 hectares of land. The park is popular because of the fantastic views between Blackheath and Wentworth Falls. The Three Sisters lookout in Katoomba is particularly sought after. The park has abundant flora and fauna, and many venues for outdoor activities such as abseiling, canyoning, mountain biking and rock climbing. Chinatown lies on the southern side of Sydney's CBD in Haymarket between Central Station and Darling Harbour. Some of the area's highlights are its wide variety of affordable Asian food, boutique shops, bilingual street signs, the Chinese Garden of Friendship, the Gold Water Mouth, Market City, flea markets and souvenir shops. Luna Park Sydney is a popular theme park with a history dating back to 1935 located at Milsons Point, Sydney. The park has wide range of rides for people of all ages. Its current rides include Wild Mouse, Hair Raiser, Ferris Wheel, Rotor, Mystery Manor, Spider, Magic Castle, Dodgem City and more. Museum of Sydney is located at the corner of Phillip and Bridge Streets. The museum showcases wonderful collections that tell the story of Sydney's history, and contains items related to the Aboriginal people and the famous Captain Cook. The venue is open everyday from 09:30 a.m. to 05:00 p.m. except on Christmas Day and Good Friday. Sydney Harbour is a natural harbour connected to the South Pacific Ocean. It famously features the Sydney Opera House, Sydney Harbour Bridge, Circular Quay and Darling Harbour. It's natural beauty has it rated as one of the world's most beautiful harbours. The site also acts as the venue for the Sydney to Hobart Yacht Race, and the Sydney New Year's Eve fireworks display. Sydney Opera House can be found at Bennelong Point. It is a multi-purpose performing arts centre and certified UNESCO World Heritage Site. The building opened on 20 October 1973 and is famous worldwide because of its distinct architectural style from Danish architect Jorn Utzon. Aside from watching a musical performance, visitors can also book a tour of the venue.